Available now, download the 1st State of the Mangrove Summit: Northwestern Luzon Proceedings. The mangrove areas of northwestern Luzon constitute approximately 6,010.1 ha. 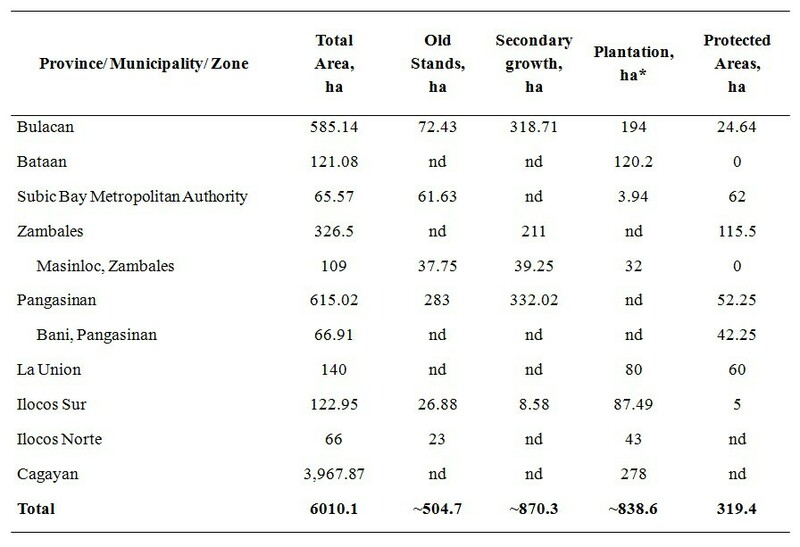 Old stands, secondary growth and new plantations are at 504.7, 870.3 and 838.6 ha, respectively. Pangasinan has the largest expanse of old stands, followed by Bulacan and Subic Bay Freeport Zone. New stands are mostly distributed in Bulacan, Cagayan and Bataan. The extent of mangroves widely varies across the region – from less than a hundred hectares to (Ilocos Norte) to around 4,000 ha (Cagayan). Most provinces have no data on the remaining old growth stands. The extent of new planted mangrove stands also varied widely. All provinces however reported a steady increase of mangrove plantation areas in the last ten years resulting in approximately 700.6 ha of new plantations. Except for Cagayan, most provinces declared around 10% as mangrove protected area. The figures and description of mangrove distribution above need to be verified, considering the insufficiency and inconsistency data. Moreover, all provincial reports provided higher estimates (6010.1 ha) of mangrove forest cover compared to estimates derived from spatial analyses of remote sensing data by Long et al. (2011, 2013) (Figure 1) and Pagkalinawan (Figure 2). 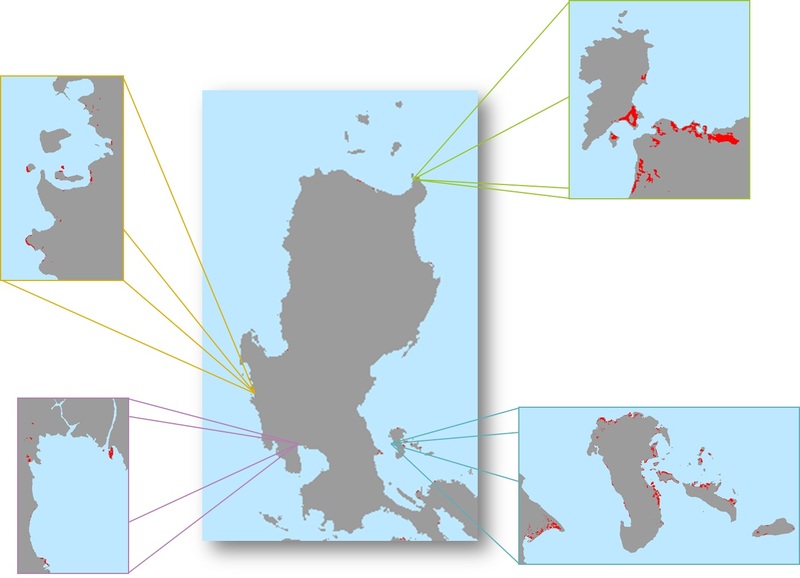 Figure 1 shows the mangrove distribution in northwestern Luzon based on the most recent satellite image (extracted from Long et al. 2013). The total mangrove area is estimated at 5,655 ha and is mostly found in Cagayan and Zambales. The mangroves of northwestern Luzon constitute 2.34% of the total mangrove forest in the Philippines. Figure 2 on the other hand, shows a satellite image from Pagkalinawan (2013). The mangrove area of northwestern Luzon is estimated at 2,159 ha. Most of these are found in the provinces of Bataan, Bulacan, Cagayan, Ilocos Norte, La Union, Pampanga and Pangasinan. Figure 1. 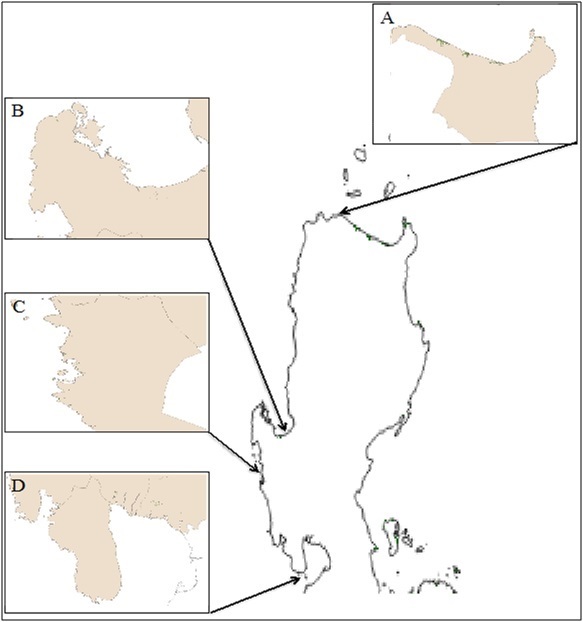 Mangrove distribution in northwestern Luzon (extracted from Long et al. 2013): (A) Cagayan; , (B) Pangasinan; , (C) Zambales; , and (D) Bataan peninsula. Other provinces have very minimal mangrove forest.